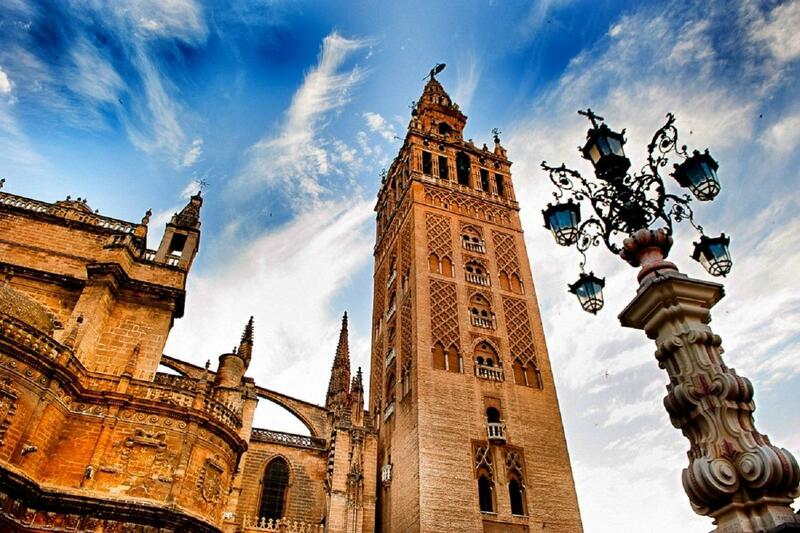 La Giralda joins the Arab and Christian culture in its tower of 97’5 meters high. 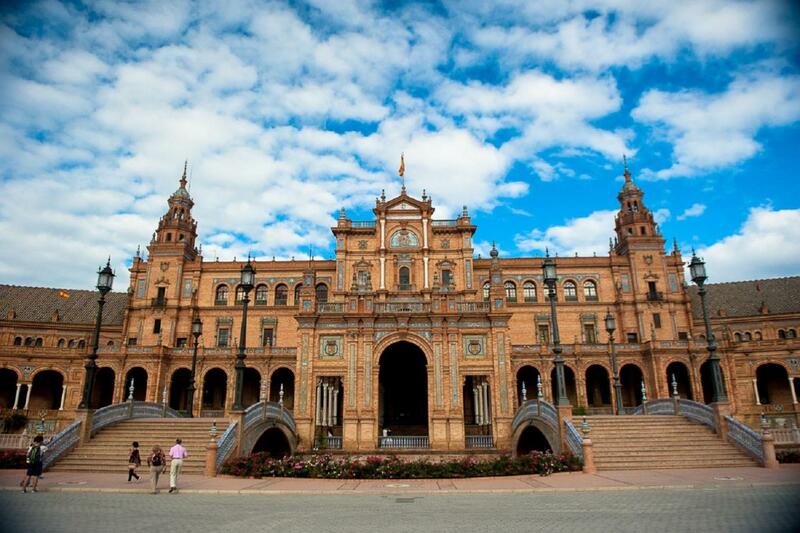 To go up to its top allows enjoying astonishing panoramic views of Sevilla. The Cathedral of Sevilla is the biggest Gothic cathedral in the world. Is a sign of its wide cultural and artistic past. 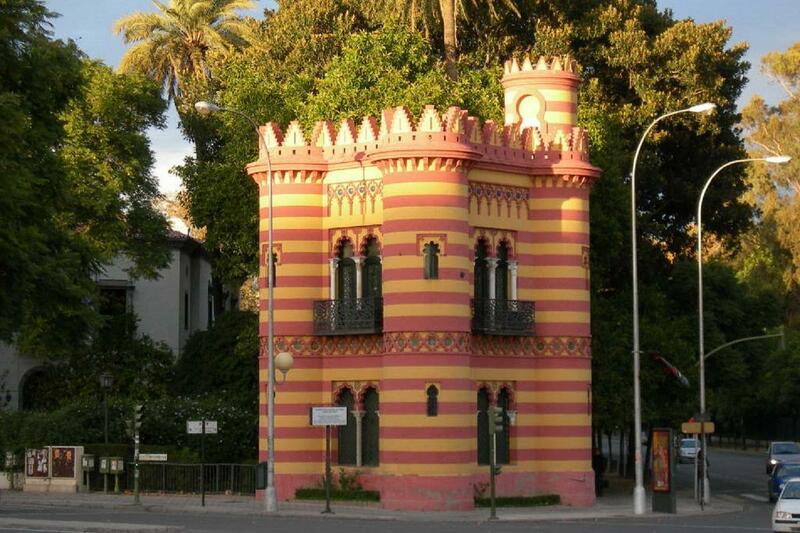 Plaza España is an architectural complex located in Parque de María Luisa, towards the Guadalquivir River. In its benches are represented the provinces of Spain. The reflection of sun in the Torre del Oro makes this monument to look golden, as its name itself. Entrance fee for the Cathedral. 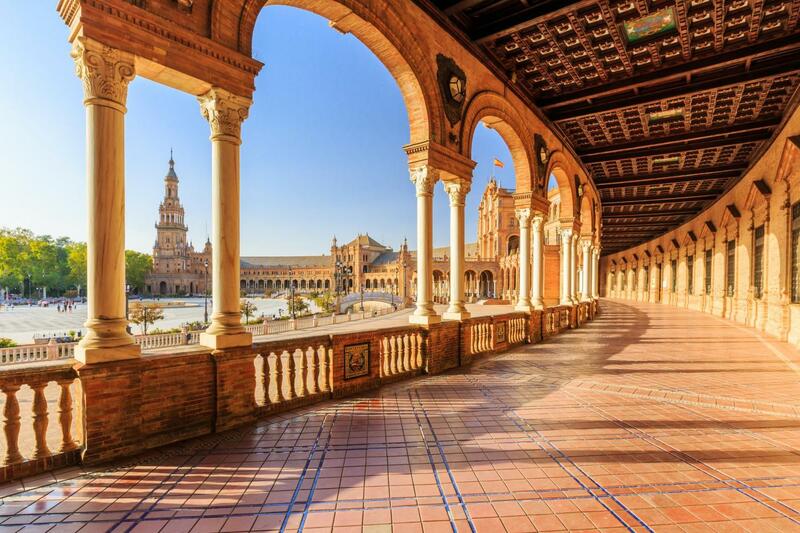 Enjoy Seville, the capital of Andalusia, and its beautiful architecture influenced by the Romans, Arabs and Jews throughout history. 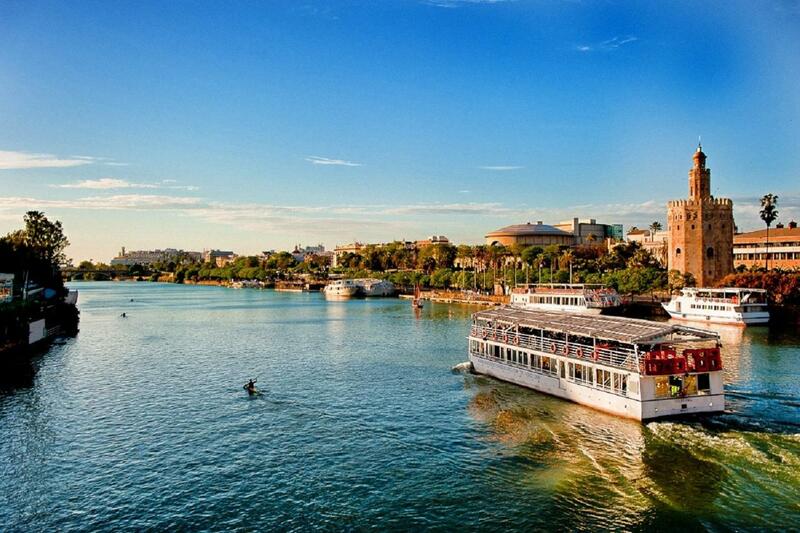 Join us and you will experience this warm and welcoming city. 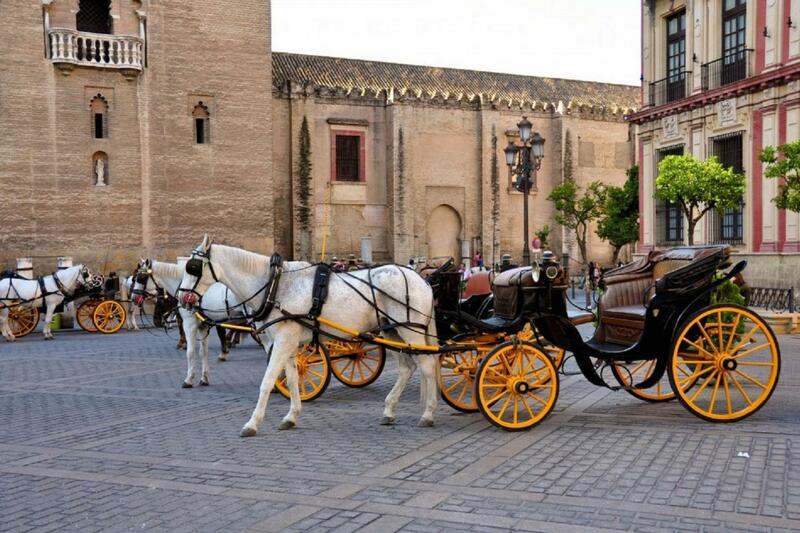 This full guided tour will take you to the historic downtown of Seville. 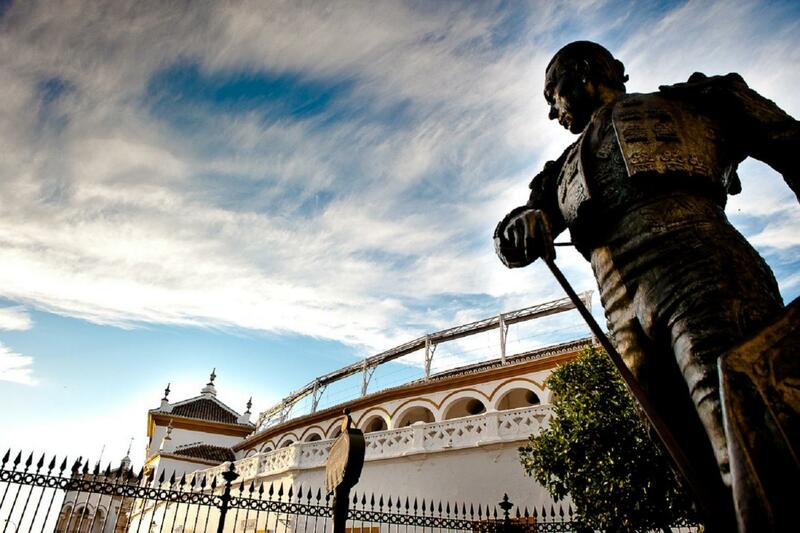 We will start with a panoramic visit of the city: Paseo de Colon, Plaza de America, Avenida de las Palmeras, Maria Luisa Park and Guadalquivir River. 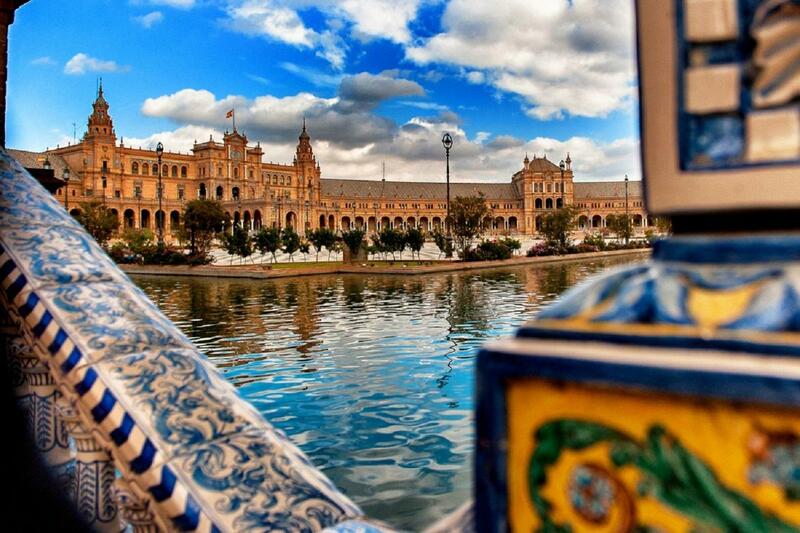 The city is situated on the banks of the Guadalquivir River, which divides the city into two halves: Sevilla and Triana. 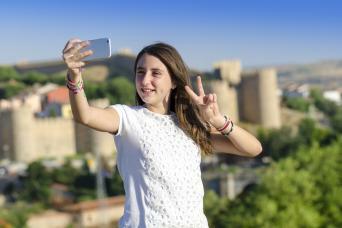 Afterwards, we will make a stop at Plaza de España where you will have some free time to take beautiful photos. Again on our coach we go to the Jardines de Murillo. From here, we'll go around through narrow and serpentine streets with a secret and peaceful atmosphere. 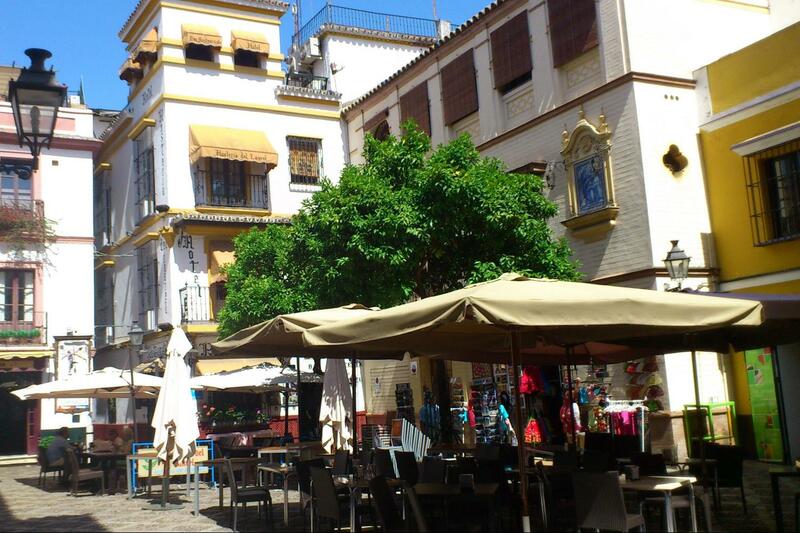 This is the Barrio de Santa Cruz (Jewish Quarter), one of the most charming parts of the city. The visit continues to the splendid Cathedral. The Cathedral of Seville is the third largest church in the world after Saint Peter's in Rome and Saint Paul's in London. 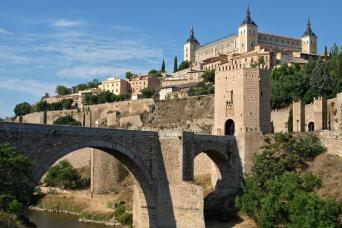 It is from the fifteenth century and occupies the site of a former great mosque built in the late twelfth century. Finally, you’ll have some free time to have lunch and to discover local food on your own. 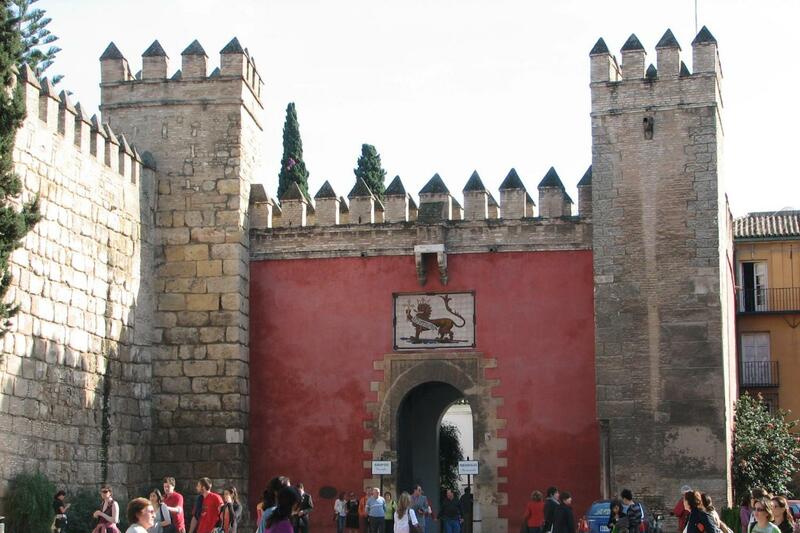 Our meeting point before we come back is the famous Torre del Oro, a thirteenth century tower, the top of which is rumored to have once been covered in gold. At the agreed time, we will return along the same route. 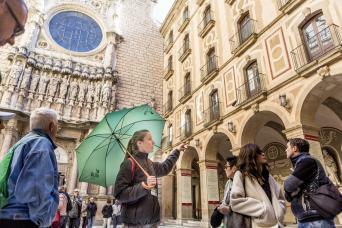 * The meeting point for this tour is Avenida de Andalucía n/n. Bus Stop nº 11, in front of Caixa Bank. * Please contact Julià Travel Gray Line 48 hours prior to your tour departure date to re-confirm your booking and pickup point details.